You have just had a home inspection and after speaking to your inspector about his findings and reading through your lengthy inspection report, your head is spinning trying to figure out what repairs to ask of the seller. What should you expect to be fixed? After financing issues, the inspection is the second leading reason why houses fall out of contract. In your inspection objection, you can ask for what ever you want, but not everything is a reasonable request. You are under contract but the deal is not done. You and the seller need to agree on these requested repairs. If an agreement between buyer and seller is not met in regards to the inspection, either party can walk away from the contract. It is important to remember that inspectors are looking for every slightest defect. They want you to know exactly what you are buying and what the potential issues are. Inspectors will often notate such things as a burnt out light bulb or that some of the windows are missing screens. Reports can end up quite lengthy and daunting to a buyer. When deciding on what repairs to request, you must consider the current housing market in your area. In a hot sellers market, the buyer cannot be so demanding. The seller has the option to just put that house back on the market. If the market is favorable to buyers, a lot more can be asked for from a buyer. 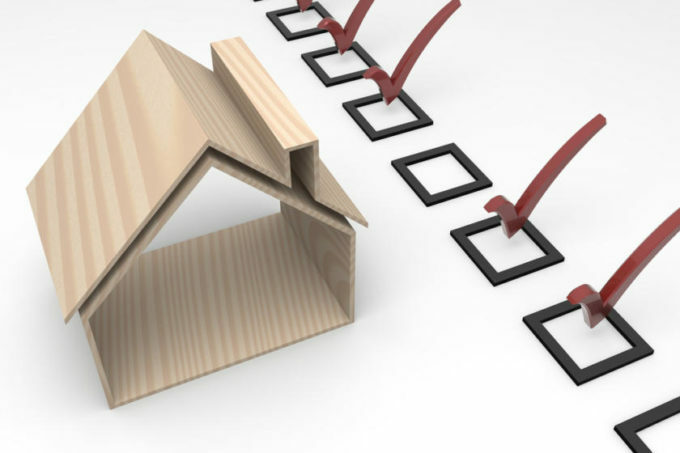 Inspectors will rate issues that are listed on the inspection report. If an item is inoperable, it will be listed as such. If the issue is of safety concern, it will be noted as a safety issue. Or it may just be a maintenance issue, for example, the furnace may need a cleaning, but it may be in perfect working condition. Take note of these things as you are looking at the report. Although, you may think to yourself that anything that is rated as a safety issue must be fixed. This may not necessarily be the case. There are different degrees of safety issues. For example, a gas leak detected by the furnace is a serious safety concern that I would absolutely ask to be fixed. However, if you do not have a hand railing installed on the steps leading up to your house on four or more stairs, that will be rated a safety issue as well. However, I don’t think that it is reasonable to ask a seller to install a railing for the four stairs leading to the front door, in most cases. Consider the age of the house. If you are purchasing a house that is twenty five years old, don’t be alarmed when the inspector tells you that the furnace is twenty five years old and the a furnace has surpassed it’s life expectancy. That’s a little scary to hear since you know it isn’t cheap to replace a furnace. But is it reasonable to expect the seller to purchase a new furnace for the home? The answer is usually no, especially if the furnace is in working order. The same holds true for water heaters. A good solution in cases like these is the home warranty. I have found home warranties to be an inspection resolution miracle! A home warranty is a lot like an insurance policy for the major systems and appliances within your home. They are inexpensive, typically about $200 per year. The beauty is that if a covered item breaks, the homeowner can call the home warranty company and pay a low fee, usually around $50, to have a repairman come out to fix it. So if you are worried that the furnace is old and on it’s last leg, asking the seller to purchase a home warranty is a very fair and reasonable solution. And as the buyer, you have the added benefit that most systems and appliances in your home are covered as well. So you may find yourself utilizing your home warranty for much more than you thought you would. Cash, did you know that you can ask for money instead of repairs? Maybe you are pretty handy around the house and you would prefer to do the repairs yourself. It is perfectly okay to attach a dollar amount to repairs that need to be done and ask the seller to credit you that amount at closing. Just remember to be reasonable when deciding what repairs to ask of the seller when going through the inspection. No house will be perfect. If you are looking for perfection then your best option is to build a new house. Most sellers will have no problem dealing with most safety issues or fixing items that don’t work. Remember to utilize a home warranty for older appliances and systems within the home. And don’t forget that you can ask for cash in lieu of repairs. And lean on the advice of your Realtor, he or she deals with inspections all the time and can assist you in coming up with solutions and can help you decide what is a reasonable request. For more information or questions call Courtney Murphy at 720-476-0370. Courtney Murphy is a Realtor in the Denver metro area, specializing in Douglas County including homes in Parker, Highlands Ranch and Castle Rock. Call Courtney for any of your Denver real estate needs.